“Flames were coming from a human being; his body was slowly withering and shrivelling up, his head blackening and charring. In the air was the smell of burning human flesh; human beings burn surprisingly quickly. Behind me I could hear the sobbing of the Vietnamese who were now gathering. 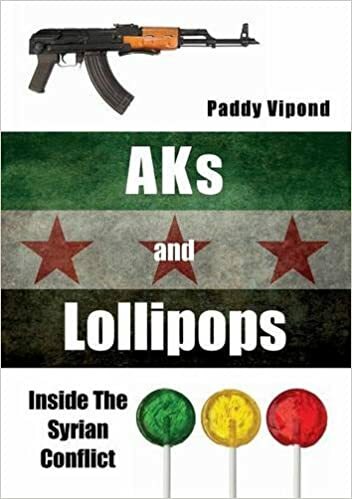 I was too shocked to cry, too confused to take notes or ask questions, too bewildered to even think … As he burned he never moved a muscle, never uttered a sound, his outward composure in sharp contrast to the wailing people around him”. 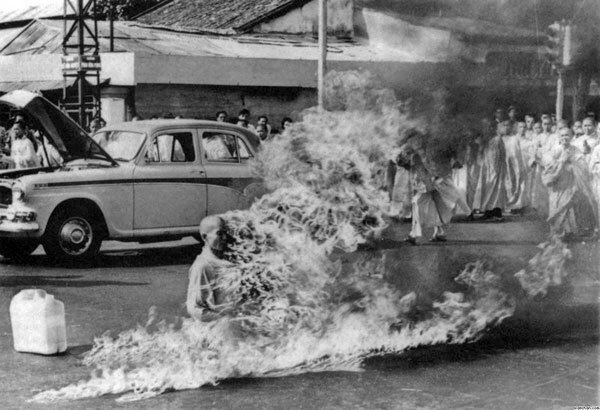 The fact that this man was sat there burning to death, and he never moved or cried out in pain fascinates me. It shows such dedication, such commitment. The burning passion that he felt inside him, the passion telling him he needed to take part in this action for the good of his people, that passion seemed to have been burning far hotter than the flames that were consuming him. Such steadfast belief, such hope, such an unselfish act to conduct. What is so intriguing, for me, about the subject of suicide, is the different motivations for why it is done. Thich Quang Duc conducted his for the future benefit of his Buddhist brothers. It was a sacrifice for them. By far the most common motivation however, is that of desperation. Perhaps motivation isn’t even the correct term, because in these cases, suicide is a last resort. There are no other choices, there are no other options. You are not motivated to commit suicide, you are simply left with this as the only action to take. 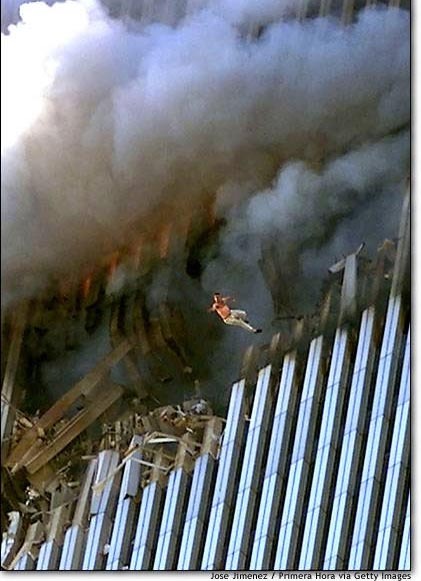 One of the following pictures has been called The Falling Man and was taken by Richard Drew on September 11th 2001. 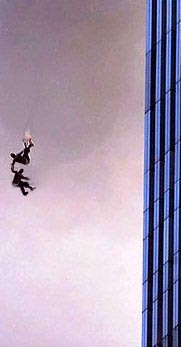 It is the image of a man who had jumped from the North Tower of the World Trade Centre after it had been hit by a hijacked plane. The identity of the man is unknown and it is likely to remain that way. I, like many, still remember that day. I was only eleven years old, walking home from school, but I knew something hugely significant had occurred. Images and videos of that day still make my cry. 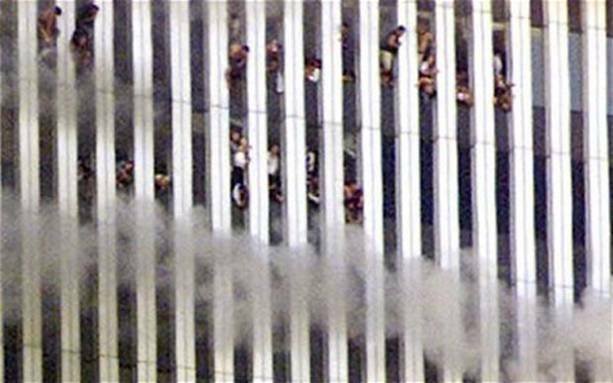 Some estimate that as many as 200 people jumped, or fell, from the towers that day. The media was told to remain silent about these deaths, and reporting on them was, and still is, a rare occurrence. Such is the refusal to accept reality on this subject that the deaths of those that fell and jumped are not even classified as suicide by the New York medical examiners office. They are homicides due to blunt trauma. 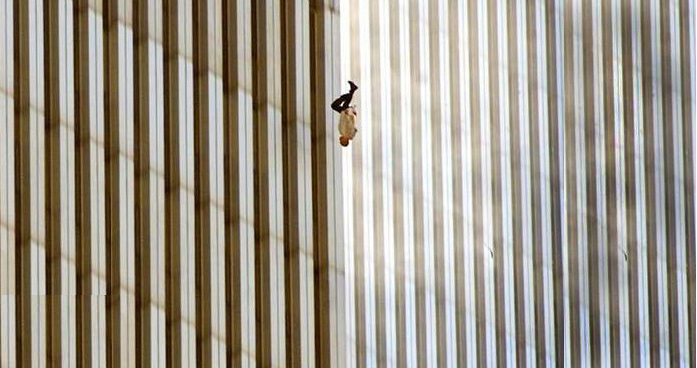 The Falling Man, along with the other images posted here, one of which has been called Impending Death, photographed by Thomas Dallal, are a tragic collection of images showing the last moments of people that had probably never even contemplated suicide before. Their decision to end their own lives was forced upon them by the circumstances they had found themselves in. I cant even begin to think of what must have been going through the minds of these people as they took the decision. With some suicide attempts there is a chance you will survive, at some point maybe the victim will think to themselves, “hey, maybe I will get through this. Maybe life is worth living”. 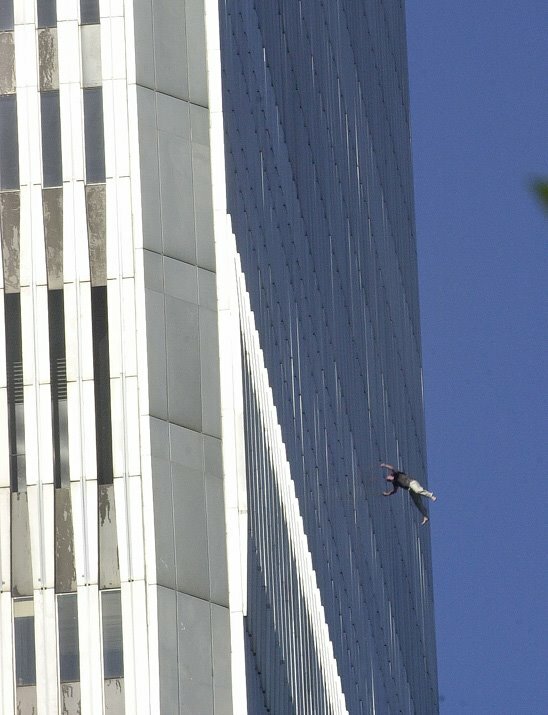 Jumping from the 110th floor, 1300 ft in the air, there is no chance of survival. Once you have gone, that is it. It takes around ten seconds to hit the floor, and in those ten seconds all that you are left with are your thoughts and the inevitability that these are the final ten seconds of your life. As the ground comes rushing up towards you, as you struggle to gulp in your final breaths… such an impossible situation to imagine. There is no hope in these photos, there is no sacrifice for the greater good, there is just despair. The image of the pair who had jumped together is particularly poignant. This next photo encapsulates what I said in the opening few sentences. The ironic immortality of a suicide photo. 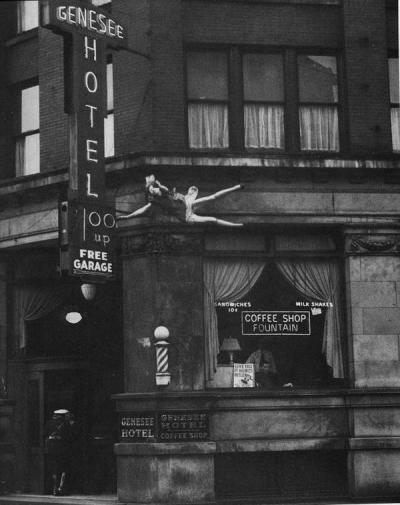 It is an image of a woman named Mary Miller who jumped from a ledge at the Genneese Hotel. The photo was taken by a press photographer named Russell Sorgi and shows Mary frozen 15 ft above the pavement. Sorgi had been taking pictures of her as she stood on the ledge, as she said her final goodbyes he reloaded his camera, just managing to catch this final shot of her life. Immortalising her forever. Notice the man in the white shirt standing at the window behind the “Coffee Shop Fountain” sign, a split second after this photo was taken Marys body would come hurtling past, nothing but a blur. Notice too the figure going through the door on the left, as the figure enters the building they would be greeted by the dull thud of Marys life coming to an end on the pavement behind them. Though the action of suicide when caught on camera predominantly looks despairing and traumatic, the outcome can at times be so calm and still. It seems like an almost paradox to say that jumping from a building and committing suicide can result in such a thing but at times it seems true. 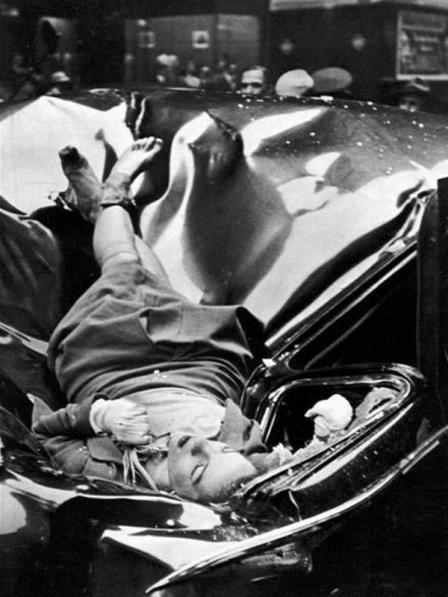 The Leaper is a photo from Richard Wiles and shows a woman named Evelyn McHale who had jumped from the observation deck of the Empire State Building. She landed, hundreds of feet below, on a UN limousine. She looks hauntingly peaceful on top of the broken, and bent metal. Lying on her death bed she doesn’t look like she is in pain, or has suffered at all. It seems so tranquil. Her eyes are closed, her legs are crossed, its almost as if she is sleeping. The pose she is in wouldn’t look out of place if it were to be adopted by an exhausted woman, collapsing onto a hotel bed. Whilst stumbling last night I came across this next image, and it is what inspired me to write this article. 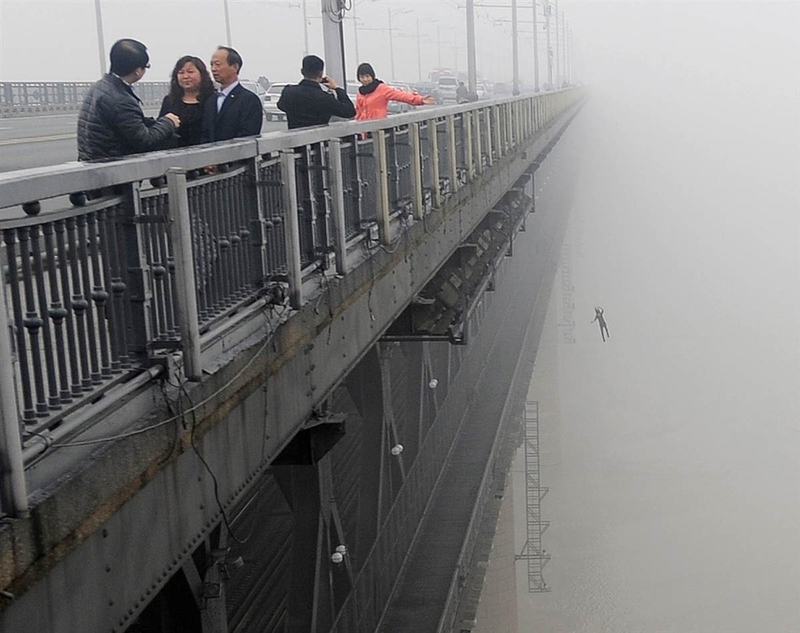 It is a photo of a suicide from the Yangtze River Bridge, in China. The bridge is four miles long, 130 ft high and is the number one suicide spot in the world. There have been over 2000 successful suicides since 1968 and there is on average between 100 and 200 attempts a year. Perhaps it is because of the regularity of suicide attempts on the bridge that some of the actions of those within the picture can be explained. In the foreground a couple (the man in the black jacket and the woman in orange) pose for a photo as a lonely, despairing figure plummets to their death through the mist behind them. There seems to be a group of people gathered on the bridge at the spot from where the person must have jumped, and this group is clearly within eyesight of the couple in the foreground. They must have seen that there was a commotion occurring behind them and yet despite this the female poses for a photo. She inadvertently presents the death of the jumper to the viewers. Her left arm is outstretched, almost as if to say “here. look”. Perhaps jumpers are so common a thing that people don’t concern themselves with that activity anymore. Perhaps I am being harsh when I suggest that. The message that I take from this tragic photo is that of a metaphor of society. Each of us is so caught up in our own lives, our own enjoyment, almost always through the means of technology, that we are blinded to the true, human suffering going on all around us. The reality of peoples situations.